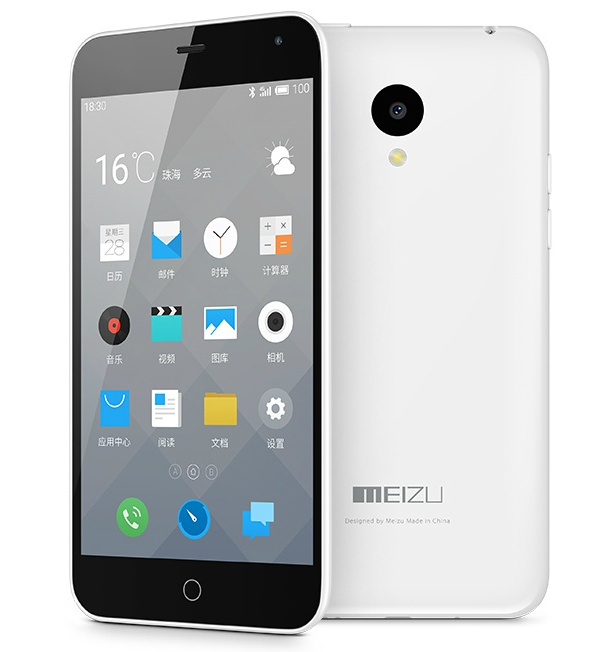 Meizu has announced their latest budget android smartphone, the Meizu M1 in China. The new M1 Blue Charm features 5 inch display having 1280 x 720 pixels resolution. It draws the strength from 1.5GHz quad core processor based on Mediatek MT6732 64-Bit Processor integrated with 500MHz Mali T760 MP2 GPU. It has 1GB of RAM and 8GB of internal storage. The phone runs on Android 4.4 KitKat OS with Flyme OS on the TOP. It is 8.9mm thick and weighs 128 grams. It packs with 13-megapixel main shooter and 5MP secondary camera. The Meizu M1 houses 2610mAh battery. It would compete with Lenovo A6000 and recently announced ZTE BLADE A430. The Meizu M1 is priced at RS 699 Yuan (US $112 / RS 6800 in India) in China. You can buy it from T Mall in China. It is available in Green, Yellow, Black, White, Pink and Blue colors.